How Personalized eLearning Engages Learners This video will help you discover customized eLearning experiences that address your specific needs. 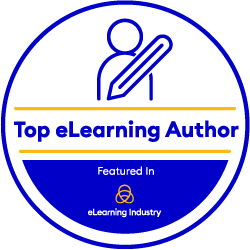 eLearning Reviews – Simplified With zipBoard zipBoard simplifies your workflow for creating elearning content. This video describes how zipBoard helps you manage and track your different elearning projects. Features like Add URL/Upload SCORM, Project Management, Content Review, Task management, No login feedback etc, make it a complete elearning review tool. LIVESTREAM How to Make eLearning More Effective In this live stream, I would like to invite my usual audience but also any learning and design managers to join in and discuss how to make eLearning more effective for your organization. Abara LMS – Mobile First LMS – Overview Abara LMS is a Learning Management System which is truly Mobile-First and offers a hassle-free learning experience on mobiles, tablets, and desktops. Watch the video to see why you should choose Abara #LMS. Corporate Online Safety Training For over 25 years, we have been leading the way in OHSA based workplace health & safety training.